On most days, US senators criticizing a US president isn’t exactly breaking news. But the spectacle of a pair of GOP senators tearing into a sitting Republican President — well, that’s not something you see every day. Sens. Jeff Flake and Bob Corker went in on Donald Trump, saying that the President’s behavior is a danger to our democracy. Corker started things off just a couple of hours before Trump had lunch with Senate Republicans to talk about tax reform. Trump had been tweeting out insults all morning long to Corker. The senator responded with a barnburner of a hashtag — #AlertTheDaycareStaff. Then he talked with CNN’s Manu Raju and really let loose. Corker called Trump a liar, suggested he shouldn’t have access to the nuclear codes, said he’s a bad role model for kids and said debasing the country would be Trump’s legacy. Oh, and Corker said he’ll never support Trump again. Ouch. Before anyone could catch their breath, Flake dropped a bombshell of his own in a stunning speech we’ll be talking about for years. Flake said he won’t run for re-election, partly because he feels a conservative like him has a narrow path for victory in the age of Trump. Flake decried the “coarsening” of US politics and blamed the President’s tone as the culprit. He went after his fellow Republicans too, saying they’re being complicit if they just sit around and not call Trump out because it’s politically expedient: “We must stop pretending that the degradation of our politics and the conduct of some in our executive branch are normal. They are not normal.” The White House seemed almost pleased with Flake’s decision, saying it’s “probably a good move” for him to retire. The President never responded to Flake’s speech — at least not yet. Hillary Clinton’s presidential campaign and the Democratic National Committee helped fund research that led to the now-infamous dossier of allegations about President Donald Trump and Russia, a source familiar with the matter told CNN. The source said the law firm Perkins Coie, as part of its representation of the Clinton campaign and the DNC, retained the intelligence firm Fusion GPS and entered “into an engagement for research services that began in April 2016 and concluded before the election in early November.” We also know that Special Counsel Robert Mueller’s team has met with the British former spy who wrote the dossier. But that wasn’t the only Clinton-related news of the day. House Republicans say they’re going to investigate a seven-year-old uranium deal with Rosatom, a Russian agency, that took place when Clinton ran the State Department, which had a representative on the committee that OK’d the deal. There are accusations of racketeering and extortion floating around, as well as claims that Russian nuclear officials funneled cash to the US that ended up benefiting the Clinton Foundation. And finally, House Republicans are returning to an old favorite — Clinton’s emails. Investigators will look into the Justice Department’s handling of her use of a private email server. CNN’s Chris Cillizza believes the just-announced investigations are just shiny objects being used to take the focus off of Trump. The Kurdish government is rethinking its independence plans in the face of the military response from Iraq. The leaders of the autonomous Kurdistan region, in oil-rich northern Iraq, propose not acting on last month’s independence referendum to stop the violence which has since erupted between Iraqi troops and the Peshmerga, the Kurds’ military force. Kurdish leaders want a ceasefire and the start of talks with Baghdad, but Iraq hasn’t responded to the proposal yet. The US is watching all of this closely, because both Iraq and Kurdistan are critical allies in the fight against ISIS. You need to be careful where you click today. A new ransomware attack has hit Russia and it’s spreading around the globe. 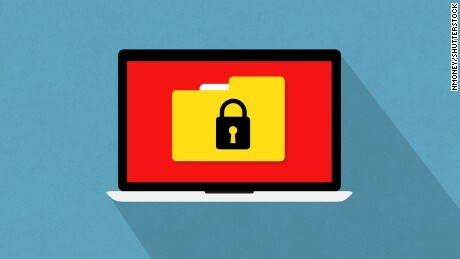 Cybersecurity experts say the ransomware — a virus called “Bad Rabbit — poses as an Adobe update, but when clicked on, it locks down computers and demands money for people to get their files back. The current attack targeted Russian media companies and transportation systems in Ukraine. But it’s also been detected in the US, Germany, Turkey, Poland, Bulgaria, South Korea and Japan. You may have to start shelling out more cash when you visit America’s national parks. The National Park Service wants to more than double entrance fees at 17 popular parks — including the Grand Canyon, Yosemite and Yellowstone — to help pay for infrastructure improvements. The fee for private vehicles would rise from $25 to $70 during peak season. Critics have blasted the proposed fee increase, saying it will make a trip to the parks unaffordable for many Americans. In 1922, Albert Einstein couldn’t give a courier a tip, so he gave the messenger two handwritten notes instead. They just sold for $1.8 million. So the price of a Mega Millions ticket is doubling, and the odds of winning the biggest jackpots are getting longer. And they say that’s a good thing? Sears and Whirlpool are calling it quits, after more than a century together. Like many divorces, this one had to do with money. This fancy, hi-tech mirror only works if you flash a smile. Yeah, it sounds silly, but it has a serious purpose: to uplift the spirits of cancer patients. The NAACP, warning African-American travelers to be careful when flying with American Airlines. The airline said it’s “disappointed” by the advisory. Cats and balloons really don’t mix, because cats don’t like balloons (or anything else, to be honest). But it sure is entertaining to watch them together.